Septimus Godolphin Rowe was born on 9 June 1895 at Darling Point, NSW, the son of the former City Alderman Colonel Thomas Rowe (1829–99) and his second wife Sarah Selina Cornish. On 9 September 1933, he married Winifred, daughter of William T Mattingley of Port Elizabeth, South Africa. He died on 26 May 1967, survived by his wife and three daughters. A Memorial Service was held at St Mark’s Church of England, Darling Point. Septimus Rowe was educated at St Mark’s Grammar School, Darling Point, and Fort Street High School before being admitted as a solicitor. He served as a Major during World War I and as a Lieutenant–Colonel with the part-time militia during World War II. 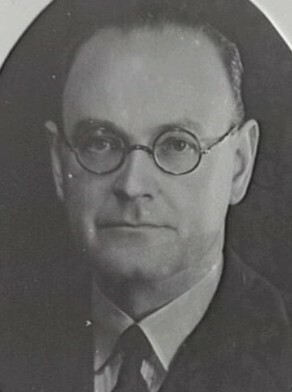 Rowe was a director of the AMP Society from September 1942. He was director and chairman of the Bank of New South Wales and chairman of the local board of advice of Goldsbrough Mort & Co. Ltd. He belonged to the Union Club, Royal Sydney Golf Club, and the Imperial Services Club and lived at Wahroonga. Rowe was awarded the Distinguished Service Order for his military achievements. Septimus Rowe was Alderman for Fitzroy Ward, 3 December 1934 to 5 December 1937. Rowe was a member of the Health and By-Laws Committee, 1935-37, the Electricity Committee, 1935-36, the Finance Committee and the City Planning and Improvements Committee from 1936 to 1937.